U.S. Sen. Ted Cruz will join real estate developer Donald Trump on Wednesday for a rally decrying President Obama's Iran deal. The pair will speak on the grounds of the U.S. Capitol at noon Central time. 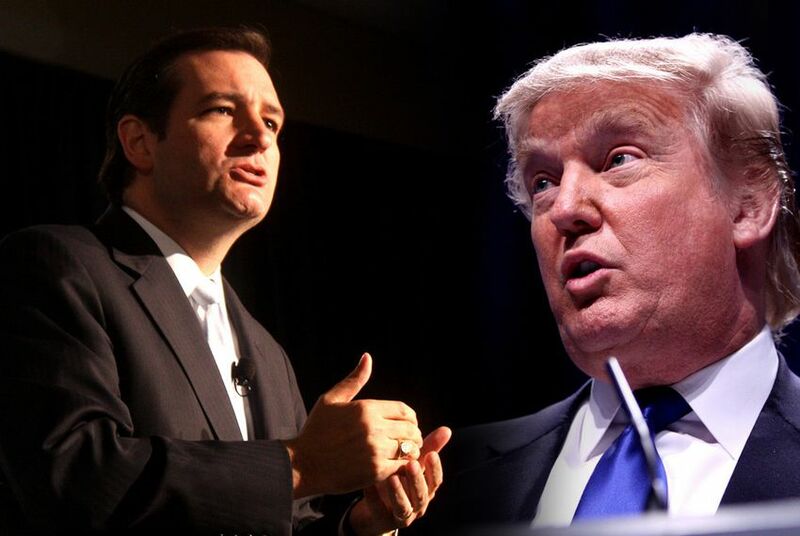 WASHINGTON — In a rare joint appearance by two Republican presidential candidates, U.S. Sen. Ted Cruz and real estate developer Donald Trump are set to share a stage Wednesday at a rally criticizing President Obama's proposed nuclear deal with Iran. And though the speeches by the two outspoken contenders are sure to get plenty of attention, they are unlikely to alter the process on the agreement. Speaking on the U.S. Capitol grounds at noon Central time, Cruz and Trump will take aim at the deal, which would prevent Iran from building a nuclear weapon in exchange for the lifting of longtime economic sanctions. Republicans have uniformly blasted the proposal, with Cruz calling the deal "catastrophic" and Trump labeling it "totally incompetent." Wednesday's rally is co-sponsored by the Tea Party Patriots, the Center for Security Policy and the Zionist Organization of America. The rally will feature several high-profile conservatives, including former Alaska Gov. Sarah Palin and U.S. Rep. Louie Gohmert, R-Tyler. But the rally is largely symbolic in meaning. Despite the congressional Republicans' opposition to the deal, House and Senate Democrats pledged enough support in recent weeks to stave off Congress derailing the proposal. On Tuesday, Obama locked down enough Senate support to possibly filibuster opposition to the deal. But floor debates on the issue are still poised to be heated. Cruz's appearance is the latest example of a different approach to the bombastic Trump, who has been leading the GOP presidential polls and drawing the wrath of other competitors over several controversial comments. In July, former Gov. Rick Perry delivered an entire speech criticizing Trump, calling him a "barking carnival act." But Cruz has praised Trump for his straight talk and has declined to criticize his fellow Republican. Before Cruz and Trump's appearance, Democratic presidential front-runner and former U.S. Secretary of State Hillary Clinton will speak Wednesday morning at the Brookings Institution a Washington, D.C., think tank, about her support for the deal.